In this wonderfully refreshing approach to a historical and cultural exploration of the myths surrounding Anne Boleyn, Susan Bordo’s The Creation of Anne Boleyn makes for a scintillating read that doubtless any reader will find appealing. From the avid Tudor historians to the faithful Hello! Magazine readers perusing the airport terminal bookshops, this is a solid all-rounder. Bordo, in her first biographical work, displays impressive insight into the politics and power plays of the Tudor court, ensuring that perhaps not even the widely accepted, contemporary king of Tudor research Dr. David Starkey could fault her research. (Although he’d probably find a way). This unbiased interpretation of a wide range of sources makes for a read which effortlessly straddles the line between unbiased historicism and sensationalist journalism. The language is accessible, reading much like a gossip tabloid rather than a historical text which these days can be found in abundance. Throughout this biography, Bordo succeeds in her goal to promote a more in-depth contextualisation of what is considered the facts while ensuring to keep any reader entertained with her observations of the scandalous, short-lived reign of Anne Boleyn. The book is divided into three sections, all of which are broken down into charismatically titled chapters, such as ‘In Love Or Something Like It’, that provide a sneak peek for those unfamiliar with the story of Anne Boleyn and perhaps a sly wink to those who are. Bordo’s research is extensive as not only does she utilise Tudor period documents but she trawls through the investigative attempts of other historians on the topic ranging from James Froude’s nineteenth century works right up until Vanora Bennett whose latest work was published as recently as 2012. Bordo draws to light the fact that these researchers are taking all primary and secondary sources at face value while we as the readers of these biographies, academic papers and viewers of period dramas too are indulgent in our belief in these portrayals as fact. A surge in interest on the sixteenth century period is largely a consequence of the period dramas which take historical fact as the basis for their own fantastical approach to the unfolding of events. 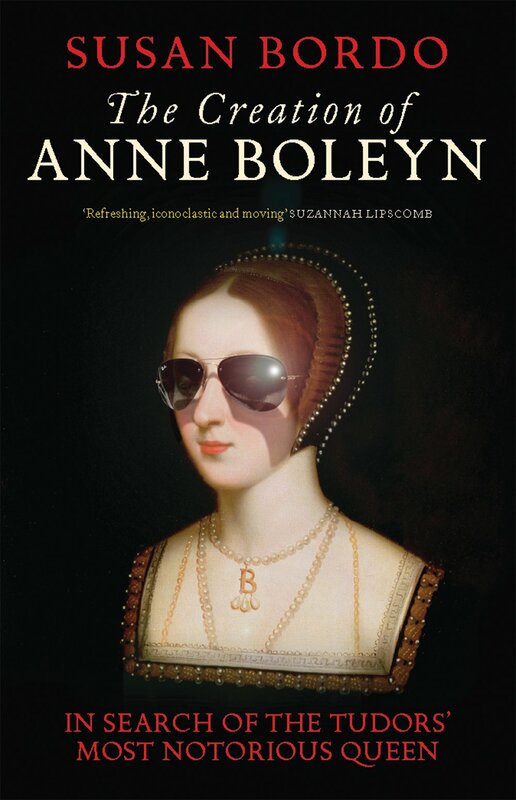 In this book, Bordo aims to take these presumptuous – albeit entertaining – facts that TV fans take at verbatim and provides what she believes to be the real or at least fair interpretation of the story of Anne Boleyn. By deconstructing the sources of these interpretations, mainly those historians who vehemently plead their own theories as facts, Bordo presents her argument with a modern day view of journalistic tactics. However she does acknowledge the merit in these works as they provide facts for discussion, a discussion Bordo challenges us to enter. Similarly. while Bordo does not aim to criticise period dramas based on Anne Boleyn, in fact quite the opposite as she sings the praises of many, she is invested in investigating the woman behind the myths and legends; the real Anne Boleyn. For those readers, desperate to indulge in the salacious romance between a king and his mistress, who defied this traditional framework by becoming queen, Bordo does not disappoint as she provides a deliciously detailed account of the romance between Anne and Henry from the very beginning. Ultimately, The Creation of Anne Boleyn presents the facts while humorously dismantling the fiction.